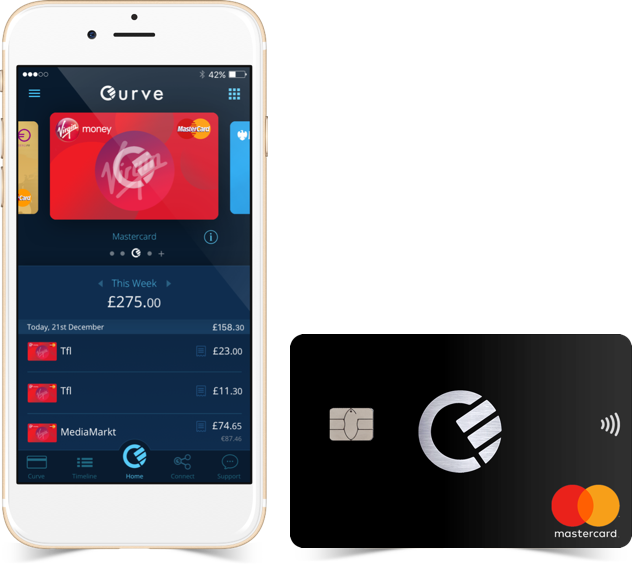 Curve, an app that connects debit and credit cards to one Curve Mastercard, has launched in the UK. The payments start-up says it had over 50,000 people on the waitlist ahead of launch, and it aims to simplify money management by connecting accounts, cards and services to one card and one mobile app. Shachar Bialick, founder and CEO of Curve, says it’s like having a “‘mission control for money’, in your pocket”. It works like a normal bank card that accepts Mastercard cards – for contactless, chip and PIN, magstripe and ATM withdrawals. New customers can download the app, add their existing cards and start spending. The company says more than 100,000 people signed up during its beta phase, spending over £100 million in more than 100 countries. Users can also switch payments between cards, up to two weeks after a purchase, with the “go back in time” feature. It is currently free for new users. Curve Premium, which offers additional benefits, is a one-off £50 cost. It will begin shipping cards to consumers this week. Some of the firm’s investors include Santander InnoVentures, and individuals from companies such as Deutsche Bank, Credit Suisse, Lloyds and Google Wallet.